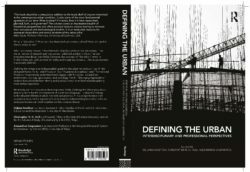 Our new book, Defining the Urban, is now out! This book should be a compulsory addition to the book shelf of anyone interested in the contemporary urban condition. It asks some of the most fundamental questions of our time: What is urban? If it exists, how is it best researched, planned, built, and governed? The volume covers an impressive breadth of theoretical perspectives and offers practical tools to anyone looking to innovate their conceptual and methodological tool kit. It is an invaluable resource for seasoned researchers and novice students of the urban alike. What is “urban”? How can it be described and contextualised? How is it used in theory and practice? Urban processes feature in key international policy and practice discourses. They are at the core of research agendas across traditional academic disciplines and emerging interdisciplinary fields. However, the concept of “the urban” remains highly contested, both as material reality and imaginary construct. The urban remains imprecisely defined. 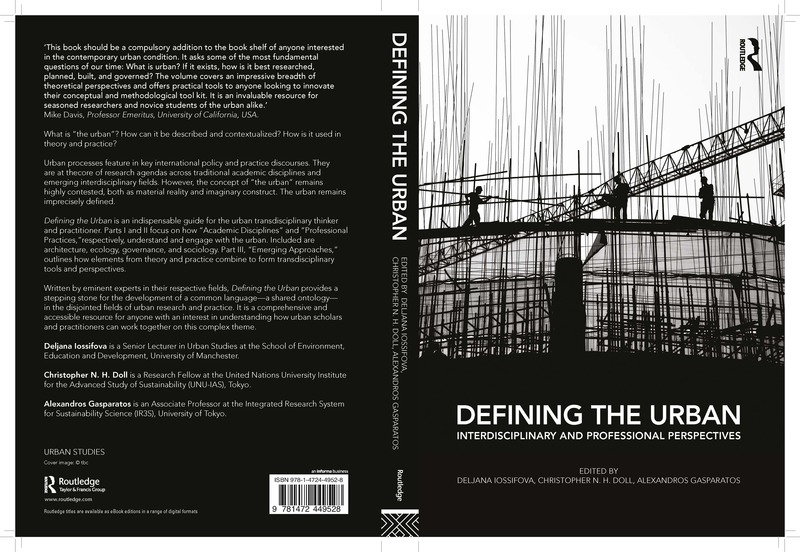 Defining the Urban is an indispensable guide for the urban transdisciplinary thinker and practitioner. Parts I and II focus on how “Academic Disciplines” and “Professional Practices,” respectively, understand and engage with the urban. Included, among others, are Architecture, Ecology, Governance and Sociology. Part III, “Emerging Approaches,” outlines how elements from theory and practice combine to form transdisciplinary tools and perspectives. Written by eminent experts in their respective fields, Defining the Urban provides a stepping stone for the development of a common language―a shared ontology―in the disjointed fields of urban research and practice. It is a comprehensive and accessible resource for anyone with an interest in understanding how urban scholars and practitioners can work together on this complex theme.